THAT is a wrap for the first week of finals with some expected and surprising outcomes. Waratah showed why they are still the team to beat after a tug-of-war ended in a decisive victory over Palmerston. The Pies looked the goods early, but the Warriors were the team that played out four quarters of football. Southern Districts smashed St Marys for the third time in a row. The Saints had no answer for the Crocs and finished the season on a low. The final elimination match saw the Buffs outlast Pint in a low scoring affair. The Buffs will now meet old rivals Warratah while the Southern Districts face off against Palmerston. A good start in the first quarter saw Palmerston up with three unanswered goals thanks to Freda Puruntatameri and Shenaida Bush. Unfortunately for the Magpies, they found out why the Warriors have won six out of the last seven premierships. Waratah flipped the switch in the last few minutes of the first term to kick three instant replies. Going into the second quarter both teams were neck and neck. That balance quickly shifted as Waratah flexed their muscles. Skipper, Lisa Roberts rose up to the occasion for her 150th game, pushing to a new level as the game went on. Amy Chittick found it tough to replicate her usual performance, but still managed to put two majors on the board. However, the real game changer was Sherayn Puruntatameri pushing forward to bag three goals. Jessica Stassi and Tabitha May fought valiantly in the midfield, but the Pies’ forward line was well held by Sharona Bishop and Rebecca Pryer. Their efforts put a halt to the Magpies’ forward efforts until the final quarter when the game was out of reach. Palmerston will have to regroup and prepare for the Southern Districts next week, while Waratah will face the Buffettes with all the confidence in the world. The Saints struggled against the Crocs for the third game in a row in what was a consistent outing for these two teams. The Crocs got the upper hand early with the Saints scoring only one behind for the quarter as Tayla Thorn kicked things off by booting the first two majors of the opening term. The onslaught continued in the second term as the Crocs hit the scoreboard hard. Districts’ best and fairest Ebony Miller pushed forward to kicked two majors while Indy Sleeth controlled the ruck. Matters got worse for the Saints when Maria Moussa popped up with two goals of her own. The Saints went into the third quarter with only one point to their name, proving their troubles down the field. St Marys managed to kick two goals early in the second half, but the Crocs quickly replied with one of their own. Charles Deegan had no issue showing her skill by kicking a major off one step. In the final term, the Saints had lost hope and the Crocs kicked two more late goals to end St Marys’ season. Now they will get ready to face Palmerston who they haven’t beaten all year. This will be the ultimate test for the Southern Districts. This was a very tight and exhausting game as both teams struggled to get a score on the board. By the end of the first half, the only scores produced were Darwin’s two behinds. Stoppages were everywhere in this contest with most players struggling to find space. Pint’s Katie Streader broke the drought with the Queen Ants finally kicking the first goal of the match in the third quarter. Melinda Taylor responded with one of her own as Darwin went into the fourth term four points in front. A hero finally came in Nicollette Dunn who booted the last two goals to seal the match. The efforts of Kylie Duggan in the midfield and Delsey Ah Wang in the backline were outstanding. The pair held it together when most couldn’t on a hot day. Unfortunately, they will now have to meet Waratah in the Semi-Finals, who look invincible after pounding the Magpies. 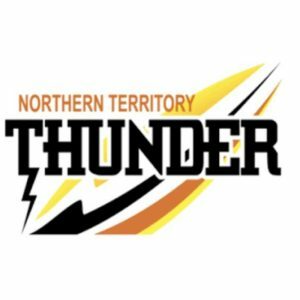 THE top two teams in the Northern Territory Football League (NTFL) Women’s Premier League asserted their dominance on the competition in Round 15 with wins over rivals. In other matches, Tracy Village spoiled a potential upset Nightcliff win, however St Marys got the chocolates against the higher fancied Darwin Buffettes. Waratah: L. O’Shea 6, B. Martin 3, K. Piscioneri 3, A. Chittick 2, J. Kolodziej, A. Love, M. Gault. Premiership favourites, Waratah overcame a plucky Wanderers side early to run away with the contest in the second half and win by 15 goals. The home team piled on 12 goals to zero after the main break, after both sides had been level at quarter time. 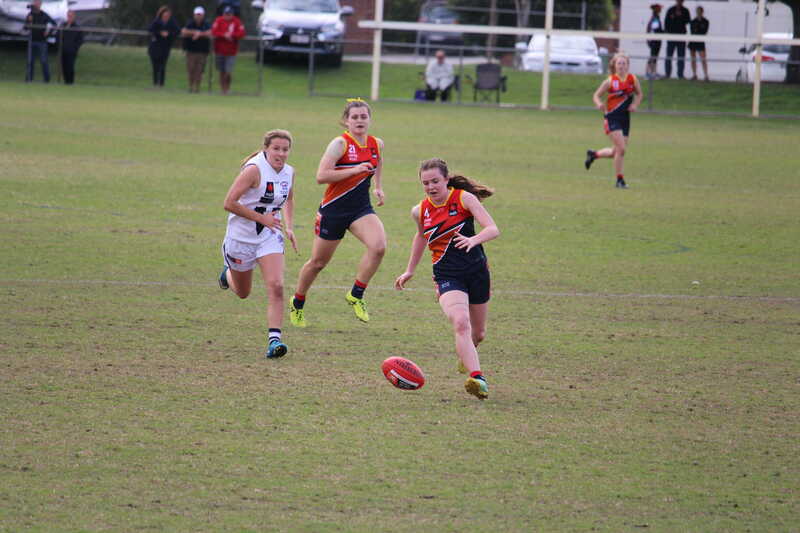 A best on ground performance from Lauren O’Shea saw the star boot six goals, ably assisted by Breanna Martin and Kelsey Piscioneri with three majors each. Alicia Stanley and Tarryn O’Hehir were named among Waratah’s best players in the storming win as they remain two points clear of second placed Palmerston Magpies. Nightcliff: S. Miskin-Ripia 2, D. Wiseman, E. Wolsey, J. Blecher. Tracy Village: K. Irvine 3, K. Pukeroa 2, M. McCartney 2. Tracy Village were challenged by cellar dwellers, Nightcliff but ultimately got the job done by 15 points. Leading at each break, the Tigers looked likely to break through for their second win of the season, but Tracy Village booted three goals to zero in the last quarter. Melissa McCartney and Karli Pukeroa both booted two goals for the visitors, but the work of Kristy Irvine with three majors and named among the best was instrumental in the win. Kiera Lansdown and Zhoe Clarke were also impressive, while Jess Blecher and Hannah Turnbull were the best for the losing side. Shantel Miskin-Ripia was the only multiple goalkicker for the Tigers, but they created more chances than in previous weeks. St Marys: L. Dunn 4, Y. Roe, N. Long, K. Dann. Darwin: C. Whan 2, K. Duggan, B. Stokes. St Marys kept their very slim finals hopes alive with a victory over fourth-placed Darwin Buffettes. The Saints trailed at the first break, but turned it on after half-time to boot six goals to two as the Buffettes squandered multiple opportunities, with four goals on the board from 15 scoring shots. Laelia Dunn was the difference for the Saints with four majors, while Celia Whan booted two goals for the losing side. The Buffettes will be keen to bounce back from the loss with finals still very much on the agenda. Palmerston: S. Bush 2, J. Stassi, M. Brown, N. Medbury, J. Brock. Second placed Palmerston Magpies showed their class with a comprehensive low-scoring win over Southern Districts on Monday. The Magpies booted six goals to one, having just three more scoring shots but making their possession inside 50 count. The Crocs did not kick a goal until the third term, with Tahlia Holtze finally slotting a major which would be their only goal of the game. Shenaida Bush was the only multiple goalkicker on the ground, while Georgina Garling and Billie Byers were named among the Magpies’ best.